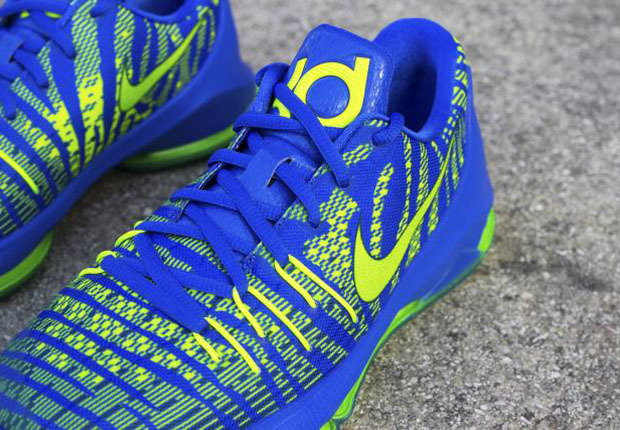 The Nike KD 8 “Sprite” in Hyper Cobalt and Volt is an exclusive treat for the kids. 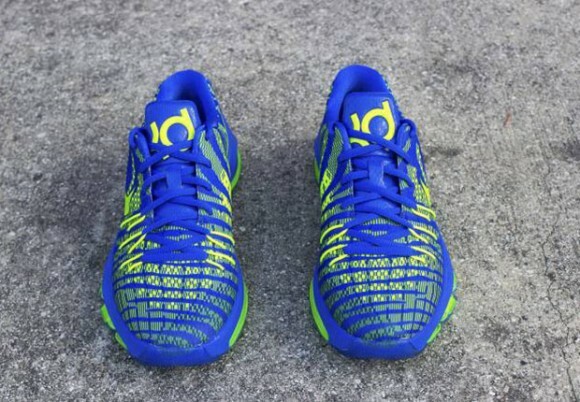 Young hoopers will be able to show off their own KD 8 with the latest grade school-only Kevin Durant signature sneaker. 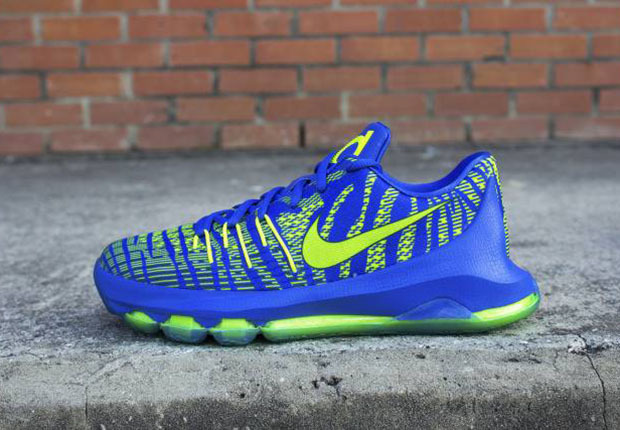 This colorway features zebra stripes resembling the “Sprite” colorway used on LeBrons. Check out the photos below and be sure to scoop your pair on Saturday, August 8 at Nike Basketball retailers. Oruny is currently a student with an obsession for basketball, footwear and digital content. If you're reading this, you probably share these interests as well. I'm always learning... 140 characters at a time. 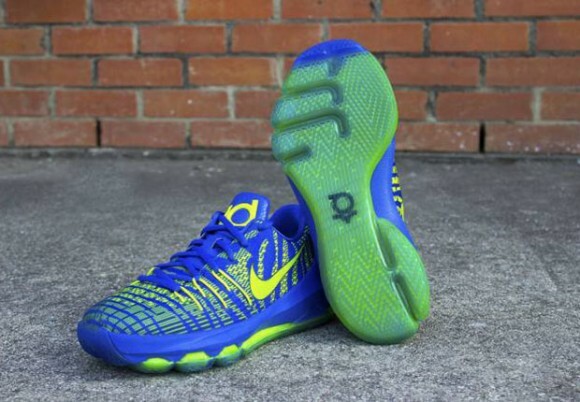 Dammit… Why do the kids get all the best colorways?